Forested land managed for more than 40 years by professional foresters with excellent species composition and age class distribution. Lots of Road Frontage, good woods road access for all season hiking, abuts Brimfield State Forest, which is now managed as wilderness by MA DCR. Well known waterfall along brook in southern end of property as well as large glacial erratic near Monson Road frontage. 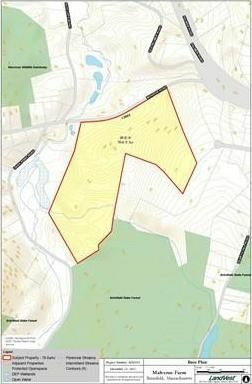 Possible opportunities to sell conservation restrictions over portions of the property as well as development potential. This is part of a larger property that includes 47 acres and a house with three ponds across Monson Road. See MLS#71847695.